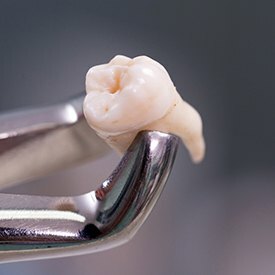 Thanks to modern technology and advances in restorative dentistry techniques, you always have options when dealing with dental damage. 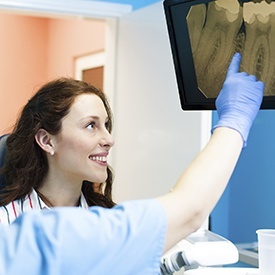 Even with regular dental healthcare, you may experience problems including damage to tooth roots, cavities, and missing teeth, and Dr. McKnight can rebuild your mouth and counteract these problems using a variety of procedures designed to fit your specific needs. 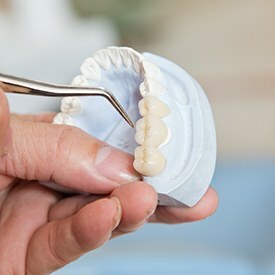 Why Entrust Your Restorative Dental Care to Dr. Byron McKnight? Dr. Byron McKnight has studied restorative dentistry extensively while continuing his education, and he doesn’t shy away from even the most complex restorative cases. Our expert lab technicians can create high-quality dental crowns and dental implant restorations that will have you looking and feeling as good as new. Our metal-free/mercury-free fillings can take care of cavities and decay while giving you a natural look without a mouth full of metal. You may dread a root canal, but Dr. McKnight can ease your fears using sedation dentistry and spa services, including aromatherapy. If you experience chronic toothaches, loosening teeth, or have already lost teeth, don’t let your oral health erode any further. Contact us today for an appointment. 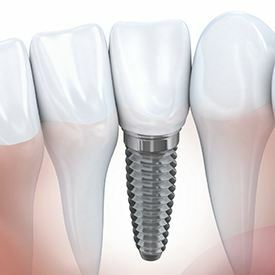 For a truly comprehensive tooth replacement, consider dental implants. These are tiny titanium posts that are surgically placed beneath the gum line, where — after a brief healing period — they provide the ultimate in stability for a crown, bridge, or denture that is affixed on top. 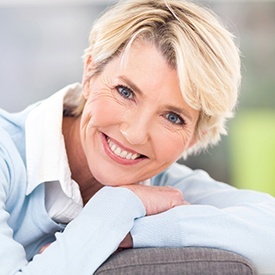 Nothing does a better job of restoring the smile than dental implants! Dental crowns and bridges can repair significantly damaged teeth or replace those that have gone missing altogether. These restorations can be constructed from a variety of materials, from lifelike ceramic to sturdy gold or porcelain-fused-to-metal. The one that is right for you will depend on where in the mouth the affected teeth are located, your budget, and other factors. If you have a cavity, you may be concerned that getting it corrected will leave a noticeable silver spot on your white tooth. Fortunately, silver fillings are a thing of the past. Dr. McKnight can now restore your tooth with a lifelike tooth-colored filling that is customized to match the shade of your surrounding enamel. This type of solution is sturdy, more conservative than the alternative, and perhaps best of all, barely detectable. 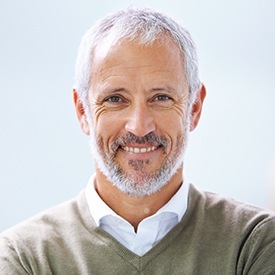 For significant tooth loss, dentures and partials can restore your ability to eat, speak, and smile with full confidence again. Consisting of prosthetic teeth affixed to a gum-colored base, dentures and partials are held in place using brackets, clips, natural suction, and/or a denture adhesive for added security. When a tooth is so decayed or injured that it cannot be rescued with a traditional filling, Dr. McKnight may recommend root canal therapy to remove infected tissue and save the natural tooth. A root canal is a common procedure that is completed over the course of one to two visits to our office, depending on the complexity of the case. And, thanks to modern methods and anesthesia, we promise you won’t feel a thing throughout the entire procedure! 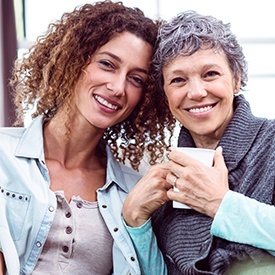 While we do our best to help you keep your natural teeth through routine dental care and by encouraging consistent hygiene at home, there may come a time when the extraction of a tooth is necessary for your continued oral and overall health. Wisdom tooth extractions, for example, are especially common for adolescent patients. If one is needed, you can feel confident knowing that Dr. McKnight is an expert in performing comfortable and efficient tooth extractions. 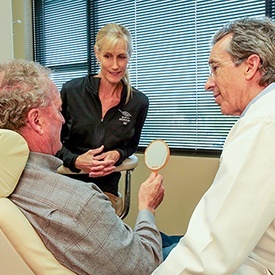 Patients who have experienced significant dental damage through injury, disease, or genetics may need to have a comprehensive solution with a full-mouth reconstruction. 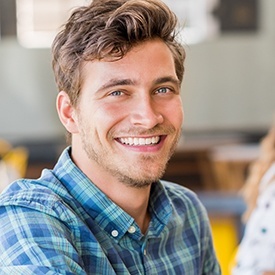 Dr. McKnight will consider your needs and put together a plan that involves general, restorative, and perhaps cosmetic treatments to help you achieve a completely healthy and beautiful smile.